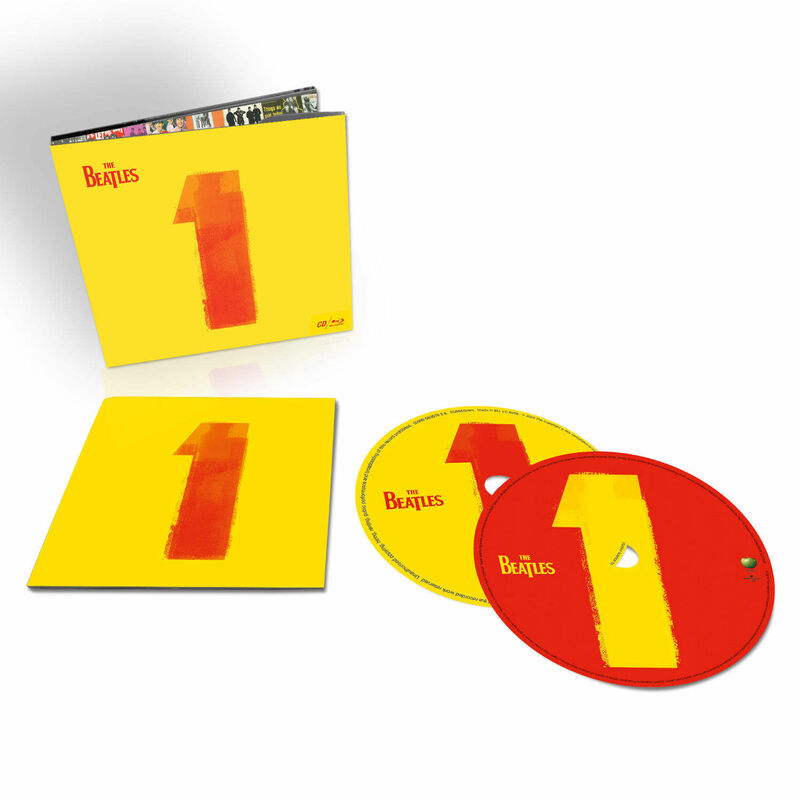 The “1+” deluxe package, due Nov. 6. Back in 1999, when Paul McCartney was at long last inducted into the Rock and Roll Hall of Fame as a solo artist, his daughter Stella was at his side wearing a tank-top that none too subtly proclaimed “About F***ing Time.” Such sentiment was never more appropriate, perhaps, than now, with the news that a compilation of Beatles promo films and other video material will be hitting the streets in November. 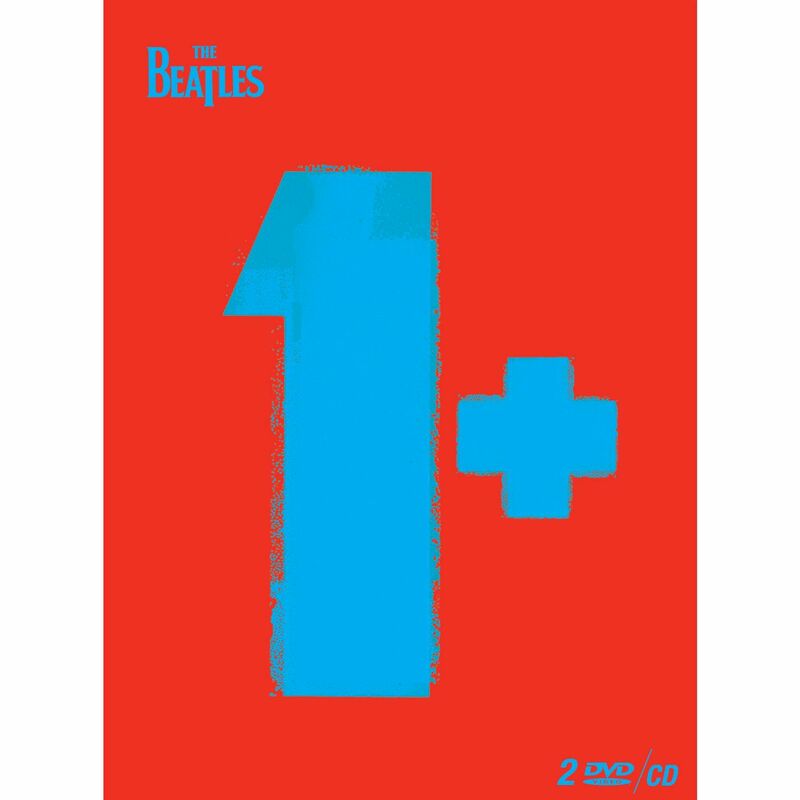 Alongside a newly mixed audio collection of the chart-topping Beatles “1” album, companion videos for each of the 27 songs will be presented. The “1” album is receiving a completely new stereo remix. But, for quite a few songs, original promos do exist, dating back to the mid-1960s, when the insatiable demand for live television appearances by The Beatles gave birth to the idea of instead providing programs with performance “promo films” such as for “Ticket to Ride,” which, while not even close to passing as “live” performances (the absence of guitar leads, microphones and amplifiers is more than a minor hint), showed the band miming along while manning their respective instruments. Yet, even in these relatively early outings, an element of surrealism was creeping in at a robust pace, not unlike the developments heard on another of the band’s side outlets, their annual Christmas records. By 1967, the films were being produced in color and adding even more vivid imagery. For some songs, there were even alternate promos, some of which were not widely seen. 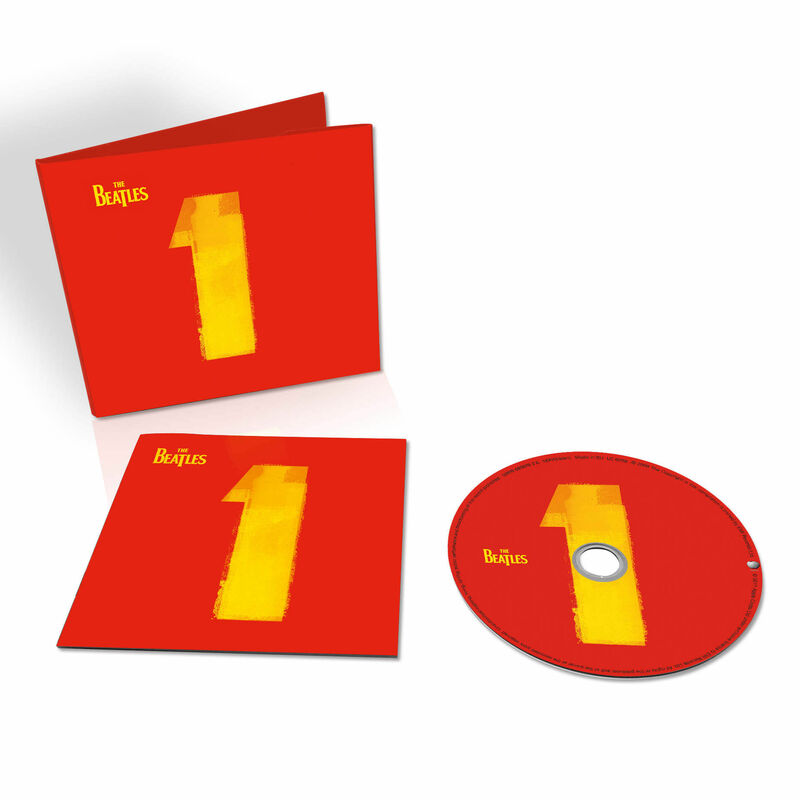 The “1+” CD and DVD standard package. Now, at long last, the world at large will get a chance to revel in what video collectors have for years compiled, traded, and upgraded. The samples used in the electronic press kits for the “1+” releases evidence some brilliant remastering. Collectors will be scrambling to compare the contents to what they have in the latest incarnation of whatever “definitive” bootleg video compilation they have on their shelves (anybody need a copy of “Unsurpassed Promos” or “Chronology” … CHEAP?). Of course, those unsanctioned collections reflected their creators’ whims and often included suitable complementary material, such as the musical “performances” from the various Beatles movies. A look at the official “1+” track listing shows many of the alternate versions of the promos will be collected on the second DVD (or Blu-ray) to be included in the deluxe editions. So, all three of the well-known versions of “Hello Goodbye” will be in there. In several other cases, a stray alternate does not appear to have made the cut. However, early word is that some of them may be included as “Easter eggs” in the various menus (really? REALLY ? I thought that gimmick went the way of the “hidden bonus track” on CDs). Stay tuned for the results from your favorite sleuths here at Beatlefan. 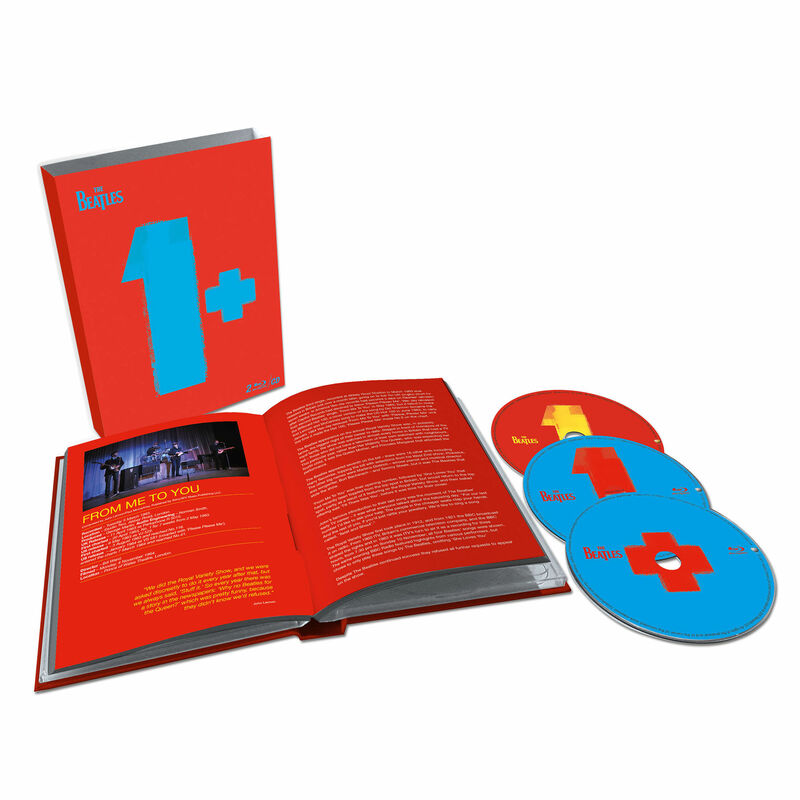 The “1” CD and Blu-ray configuration. The release looks to satisfy a heretofore major gap in The Beatles’ catalog. Obviously, the EMI body of work has been definitively represented by the 2009 remastered series. The runner-up in terms of importance in the story — the BBC recordings — has been substantially covered for all but the most ardent collector. The movies — save for “Let It Be” — have each received the deluxe remastered treatment. And, certainly, the “Anthology” was a noble run through the vaults, though it is now some 20 years in the rear view mirror (can that be?). Beyond “Let It Be,” the last real vestiges of the canon that remain unissued are the Christmas album, and some of live projects such as the Hollywood Bowl album and Shea Stadium film. This entry was posted in Uncategorized and tagged " Apple Corps, "1, Beatlefan, Beatles Anthology, Blu-ray, CD, DVD, Free as a Bird, Hello Goodbye, Hollywood Bowl, Let It Be, music videos, Paul McCartney, promo films, promotional videos, Real Love, Shea Stadium, Something New, Stella McCartney, The Beatlefan Blog, The Beatles, Ticket to Ride, Tom Frangione, UMG. Bookmark the permalink. I agree it’s great these are finally getting “official” releases. One other thing missing is the cartoon series. This long overdue. Apple is working on/already completed a number of projects that will satiate all corners of fandom over the next decade. This is but the first. I’m more interested in their live performance material. Those in charge of this stuff should produce a live anthology album of the Beatles live performance years. I know Ron Howard is doing something related to that, but I’d like to see something that really showcases their live music and performances! Slightly off topic, but not really. Just read in the mag how Shea will ONLY be included in the theater and not on the DVD/Blu Ray release. They do a step forward for once with the 1 release and give the fans what they wanted for a change, and then take two steps backwards and not release this on disc? What are they waiting for?! Do they think there is no fan interest in this?! You’re never going to get a better time than now.